Justin Bieber quits Instagram, Google Duo launches in the face of Facetime, and studies show that GIFs are helping with hookups. It’s time for Weekly Wins so strap in tight. A lot to get through this week so get a beverage, get comfortable, and get busy with some of the biggest digital marketing news. This week Justin Bieber left 77.9 Million people in shock when he abruptly deleted his Instagram account. The reason? Well, it really depends on what story you want to follow. Our favourite is the Selena Gomez backhand smack disguised as an Instagram comment that sent the Biebs over the edge, but when it comes to celeb goss, it’s best to just stay in the realm of rumours. So why is this a Weekly Win? Because with 77.9 Million Bielibers, Justin’s account was one of the most followed on Instagram. In a sense, they just lost one their most powerful power users. 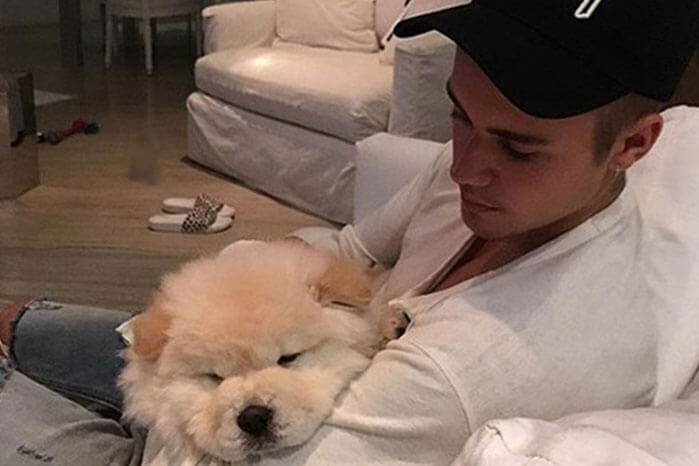 But if you need your fix of Bieber pics (and his dog Todd), you can always swing on over to his Facebook page along with the other 77.5 Million folks. Automaker Audi has figured out a cheeky little way to help improve traffic flow and fuel economy in major cities with the new Audi Traffic Light information system. The Traffic Light system will connect Audi vehicles with city traffic management systems. The information gathered is then displayed on the Audi dashboard as a real-time countdown of when traffic lights will turn from red to green. The goal is to notify drivers when they will need to stop so they can ease off the gas pedal and drive more efficiently throughout the city. Connected Audi vehicles will be rolling out onto streets in 2017 so start getting excited for even smarter cars. One of the coolest things about the evolution of VR is the ability to step into the shoes (or in this case, behind the mask) of some of our favourite fictional characters. And at the top of many peoples’ list? Batman. Last month at Comic Con, a few lucky people got to wear the cowl and feel what it’s like be the bat and this week we got the news that Batman: Arkham VR will be available for sale this October. But even though most seem excited at the possibility of becoming the Dark Knight, it sounds like the experience may still have a few nauseating kinks to works out. 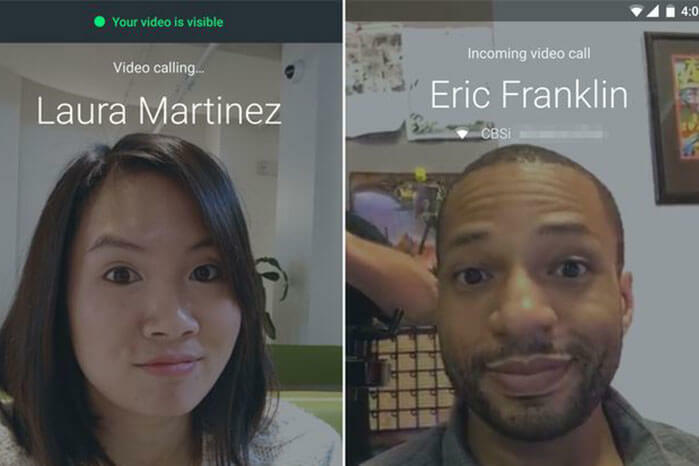 Duo is Google’s cross-platform video chat program enables one-to-one video chat between anyone using the app on an Android or iOS phone. Sound familiar? Yeah, it’s basically Apple Facetime, with one pretty cool new feature. Duo sports a feature called Knock Knock which allows the video chat receiver to actually see the person who is calling before they answer. So if you call someone over Duo, you can make funny faces at them before they pick up. On the flip side, the person on the other end will get to see your funny face before they pick up. For a brief moment earlier this week, Airbnb Trips was available for download on the Google Play Store. But just as we started getting familiar with the travel app’s features like restaurant bookings and city tours, Airbnb pulled the app. Airbnb Trips was probably only made public for a brief period in order to test certain features, but it was nice to get a look into what might get rolled out in the future. In the past, Airbnb has launched features like city host programs and guide books so having an app like Airbnb Trips only makes sense. According to spokesperson Nick Papas, Airbnb is “continually experimenting with new things and we don’t have anything to share right now, but we have a few exciting things in the works.” Look for the brand’s new features and apps to debut this November at the Airbnb conference.